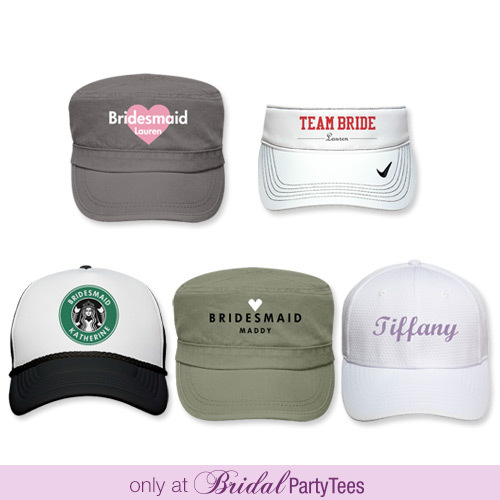 Spring is almost here so make sure you have the apparel you need for your wedding. 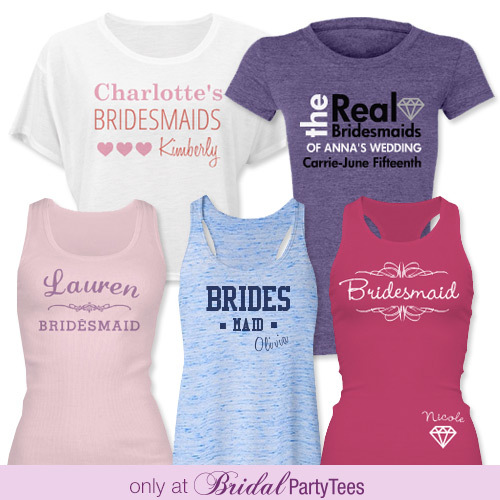 Customize bachelorette party t-shirts and tank tops. 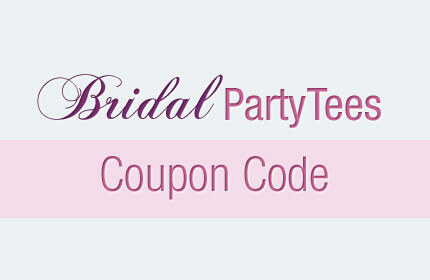 Use the coupon code below to save this month! Use promo code BPTM3, and get 10% off your order! Offer ends 03/31/2014 at 11:59PM EST. 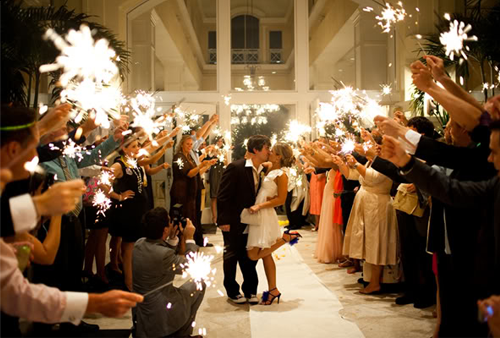 How do you make one of the best parties ever even better? 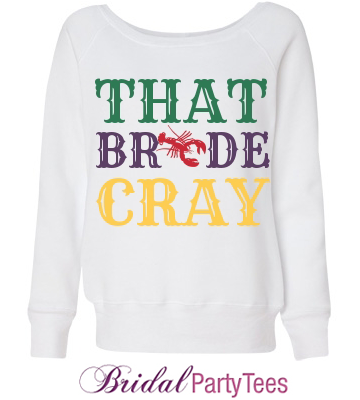 By turning Mardi Gras into your own Bachelorette Party! 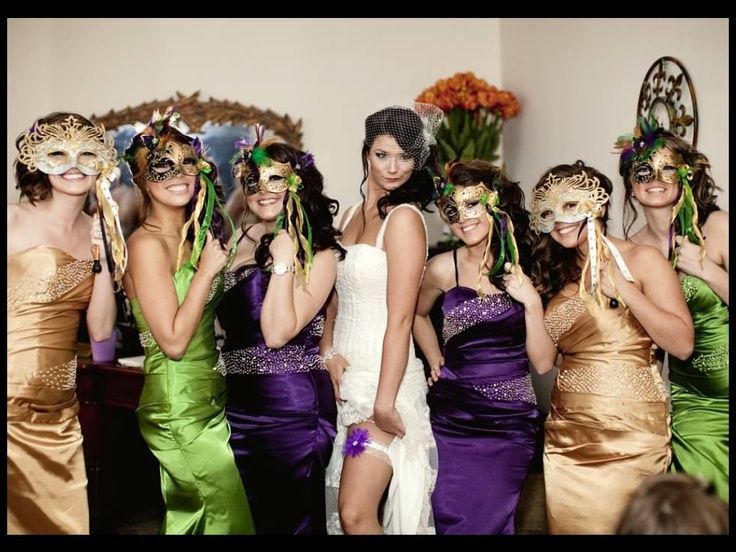 Brides and Maids of Honor, if you want to make this bachelorette party the best it can be organize a trip to New Orleans for the week long Mardi Gras celebration! 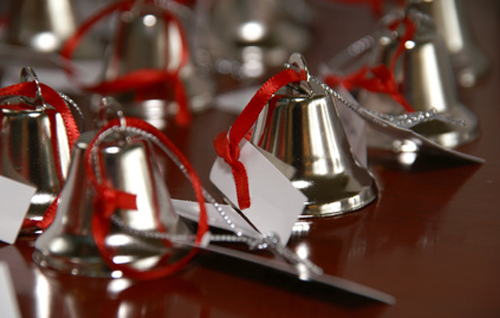 The party ends March 4th this year and while we suggest planning early (maybe you’re looking at next year), you can still find the tickets and hotel rooms you need! Check out Mardi Gras New Orleans for tips, tricks and packages. What makes a Bachelorette Party at Mardi Gras so unique? Everyone is ready to party! 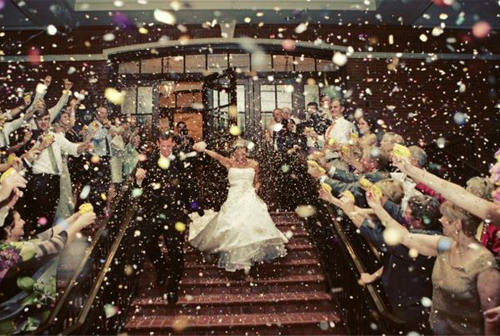 You won’t have any trouble finding someone to buy you a shot because you’re tying the knot. The whole town is ready to get down and have fun! 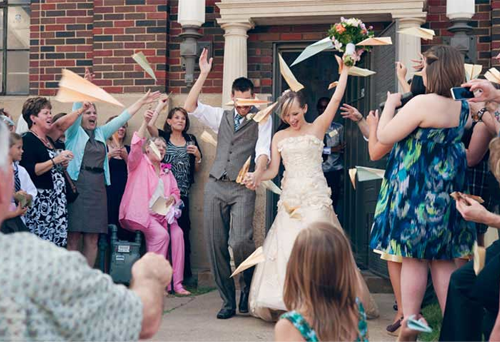 Tons of music, food, and drinks will fill the atmosphere with little effort from you, Maid of Honor. The costumes! 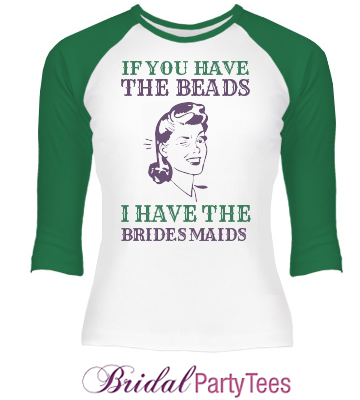 It’s tradition to get the bride, bridesmaids and other bachelorette party attendees dressed in beads, tutus, face paint, and whatever else to make your group stand out. And that’s all a part of Mardi Gras. There will be no shortage of fun costumes and vibrant colors everywhere you turn! It’s all about the storm before the calm. Mardi Gras is a last-ditch celebration before Ash Wednesday and the beginning of Lent. 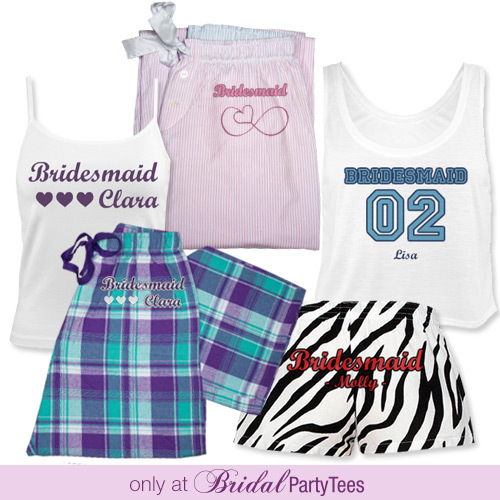 A Bachelorette party is a last-ditch celebration before your bestie turns bride. Need we say more? 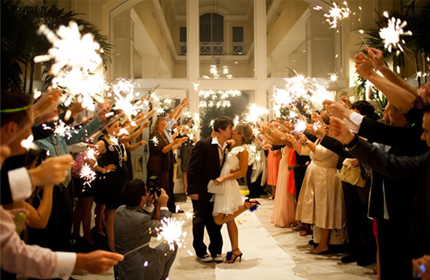 Thinking a Mardi Gras Bachelorette party is just what your bride ordered, but don’t have the time or money to plan a trip to NOLA? Don’t panic! It’s easy to whip together a Mardi Gras themed Bachelorette party right in your own living room! How Do I Bring Mardi Gras Home? First of all, your color scheme is done. 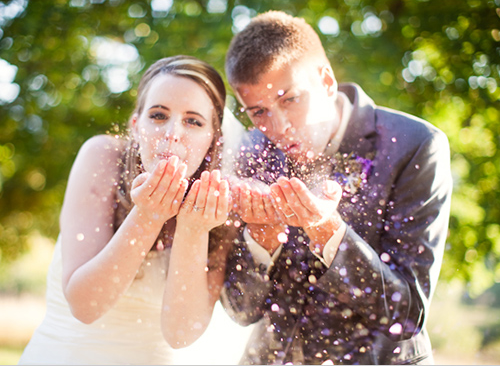 Lots of purples, greens, and yellows will definitely capture the feel of Mardi Gras. 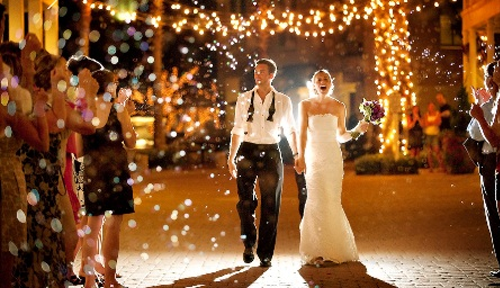 Think streamers, center pieces, balloons, confetti, ribbon, and of course… beads! Make your own King Cake or King Cake cupcakes. Other Mardi Gras inspired dishes can be easy to prepare too, like cake pops and purple trail mix. Grab masquerade masks in your colors from your closest party store or have the party-goers design their own with glitter, feathers, and crepe paper. There are tons of places online to find free printables. 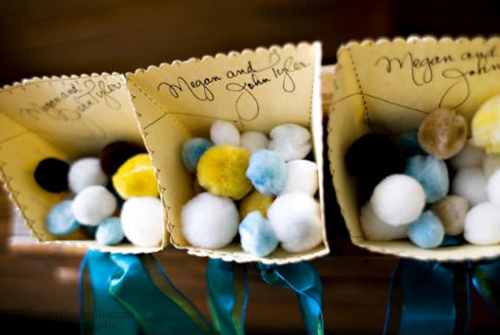 You can even put together your own purple, yellow, and green tutus! The drinks. Hire yourself a (cute) bartender for the night to mix your girls some sweet Mardi Gras drinks! 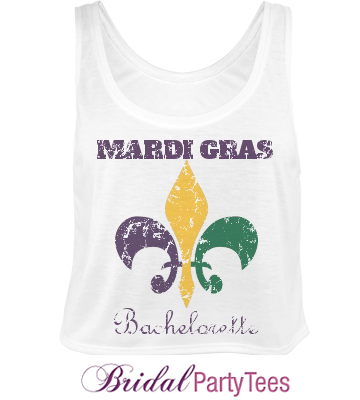 Whether you pack your bags for Nah’leans or throw confetti all over your home, it’s essential to pull together your Bachelorette Party with Mardi Gras shirts! 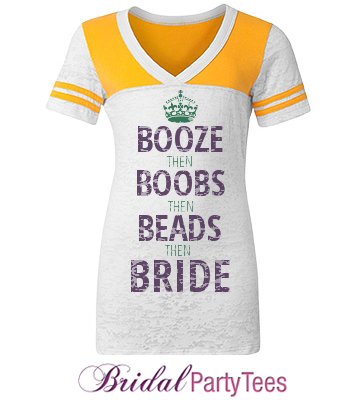 Looking for more Mardi Gras themed Bachelorette party ideas? 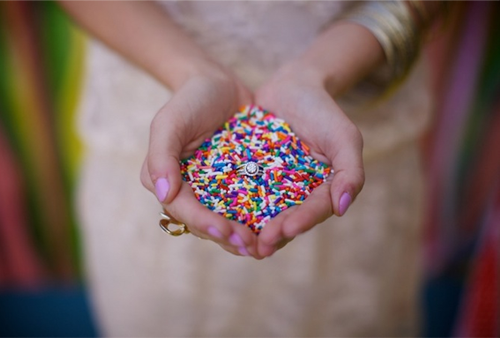 Check out our Pin board for inspiration! 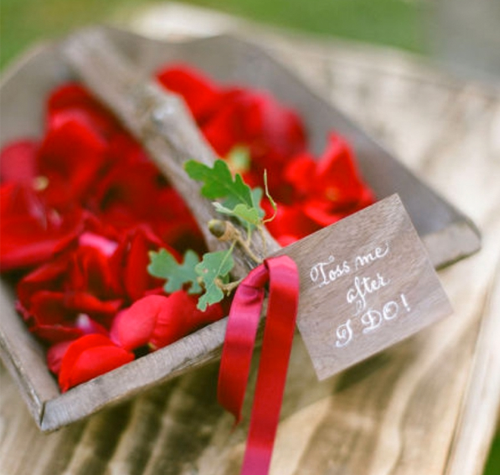 As the bride, you will be putting your blood, sweat, and tears into every aspect of the wedding to make sure it is perfect and one to remember! 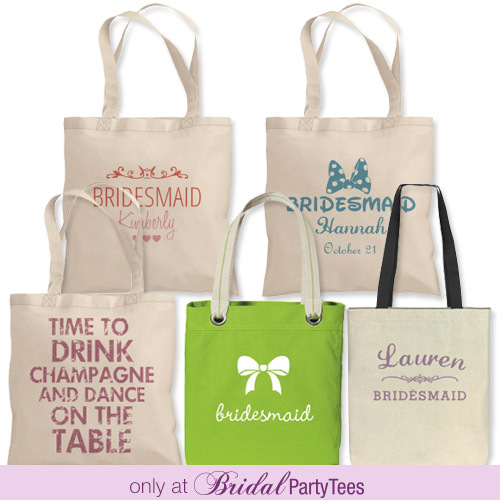 But a bride can’t be a one-person team; she’ll need the help of her bridesmaids. 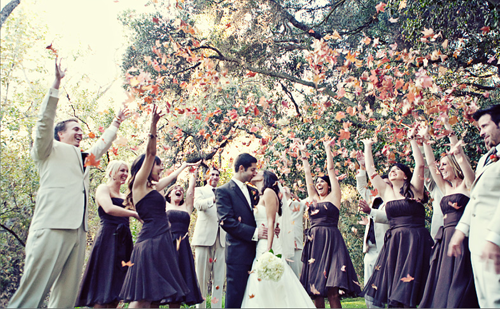 Once you’ve chosen your bridesmaids, they will be there to assist you throughout the entire wedding process and deliver on any responsibilities you delegate to them. 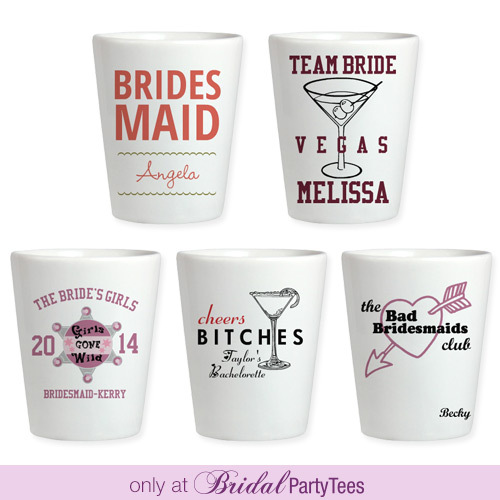 They are even in charge of the one of the most important events leading up to the wedding, the bachelorette party! 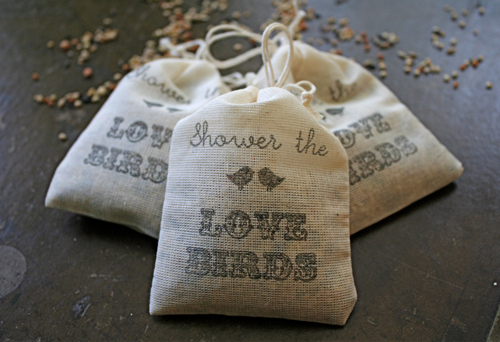 So for all the things your maids have done and will do for you, make sure they know how much you appreciate their help by giving them a custom bridesmaids gift created by you! 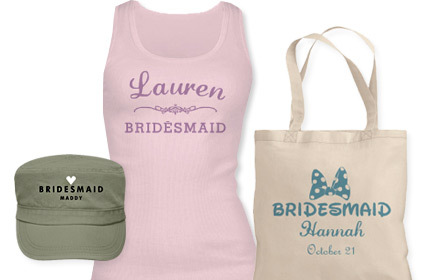 Here are the top five gifts you can customize for your bridesmaids!